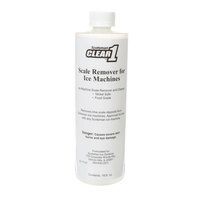 Get the most out of your ice machine by regularly cleaning it with our ice machine cleaners. These products are designed to remove mineral buildup that can lead to corrosive damage, so your machine can continue to produce refreshing ice. 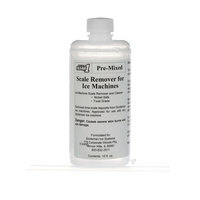 We also offer ice machine sanitizers that are safe to use on nickel and tin without damaging their surfaces. Some of these cleaners are even ready-to-use for quick and easy cleaning. For more cleaning products, check out our scrubbing brushes with squeegees, carpet cleaning solutions, and beer and wine line cleaners. If you're wondering where to buy scotsman ice machine cleaners and sanitizers, we have a large selection of scotsman ice machine cleaners and sanitizers for sale at the lowest prices.